Mensagens escolhidas é um tipo único de compilação, visto procurar reunir e por permanentemente à disposição, não somente valiosos artigos de revistas e declarações de manuscritos, mais também certos inapreciáveis panfletos e folhetos antigos. Apresenta mensagens de conforto aos aflitos ou aos que se acham em face da morte, e um bom grupo de artigos de revistas tratando extensamente de pontos centrais de doutrinas. From "A Word to the Reader"
Selected Messages is a unique type of compilation, in that is seeks to gather together and make permanently available not only valuable periodical articles and manuscript statements but also certain priceless old pamphlets and tracts now out of print. Included among the counsels here presented are her statements on inspiration written in the mind-and-late 1880's, her observations on the "two laws" penned at about the turn of the century, the pamphlet, "Should Christians Be Members of Secret Societies?" published in 1983, messages of comfort to those in affliction or facing death, and a sizzle group of periodical articles dealing at length with key doctrinal points. 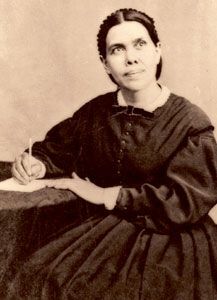 Certain of these materials have been brought to the attention of the church through reprints of Mrs. White’s articles in our journals and in leaflets, and in some cases through quotations in the books of other authors dealing with the Spirit of prophecy, but these sources cannot be included in the Index to the Writings of Ellen G. White. Selected Messages, books 1 and 2, include items that have been published in Notebook leaflets, formerly known as "Elmshaven" Leaflets. These miscellaneous leaflets treating many subjects have been highly valued. Not a few of the documents from which these were drawn, however, were through subsequent years embodied in such books as Medical Ministry, Evangelism, and The Adventist Home, and in other cases paralleling statements appear in these books of more recent issue. Those portions that still have a unique place in presenting counsel and instruction have been included in Selected Messages. Hence it will not be necessary longer to keep the Notebook Leaflets in print. The issuance of these volumes also makes possible the presentation of small groups of choice materials not published before, but which will be greatly appreciated. Section IV. "Preach the Word"